Arguably the second most difficult position in the federal government is the position of White House Press Secretary, or spokesperson, for the President of the United States. 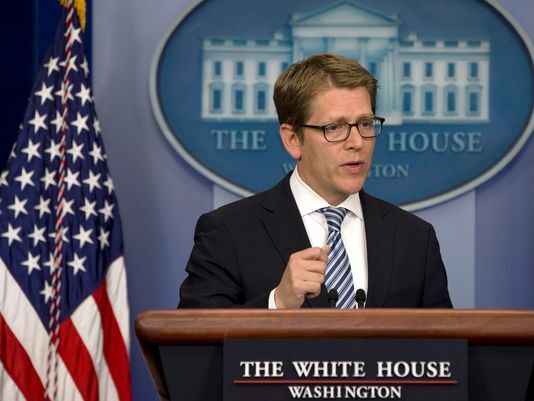 Currently Jay Carney holds this position and as a former journalist, he is particularly knowledgeable about freedom of the press. That’s why the recent revelation of the phone record seizures of the Associated Press news outlet in Washington D.C. should cause him pause. Naturally, as an administration spokesperson, he has expressed a very cautious response to the controversy such as saying he “cannot comment on the ongoing investigation.” In light of the recent revelation that the IRS inappropriately singled out conservative groups for investigation, not to mention the congressional review of the tragedy of the deaths of American diplomats in Benghazi, the White House, President Obama and many leaders in the current administration are under extra scrutiny from the American public. It’s a perfect storm that has leaders scrambling for cover and trying to find an effective response that is prompt, truthful and devoid of politics. Is it possible that our government leaders will be able to admit wrongdoing, take responsibility and then announce changes to prevent a reoccurrence? You be the judge. It is important that the leaders of our country know how to lead us into the right direction. I do understand that mistakes are made and people to tend to encounter certain ups and downs, but it is also important to take responsibility for their actions. There is a well known quote that comes to mind, “we all make our own decisions, the hard part is living with them.” I am applying this to this article because in many cases when people fail to comment on a certain issue, they are either guilty and do not know how to face the issue, or they simply are not taking care of the consequences that come with certain decisions that were made. I have seen many people who have been interviewed who simply chose not to answer certain questions. The secretary, should be knowledgable and should be able to face any questions that are being asked. If the leaders of our country are not able to be honest and cant take the initiative and take responsibility for actions, then we can and who will. Interesting to see how this unfolds…. I totally agree that the position of White House Press Secretary, or spokesperson is much more difficult. Certainly, personally, I believe the position for all spokespeople is different. In fact, in our daily life, the CEO is not only the firm’s top manager, but also serves as chief spokesperson. It’s well known today’s media is fragmented, omnipresent, and run by journalists who may be aggressive and opinionated. In any country, it is impossible that the government leaders will be able to admit wrongdoing, take responsibility and then announce changes to prevent a reoccurrence. That is totally wrong. Making good decisions is not only very significant for themselves, but also for us-citizens, the whole country. We all hope the leaders of our country lead us into the right directions, just like Sabina mentioned above. In addition, after reading this blog, I have learned something new. In short, any practice of public relations is all about earning credibility. I think the secretary is one of public relation professionals, even the leaders, they must be honesty credible, and fairness anytime. Good ole’ government. I watched the video of Holder and he did a great job of holding a press conference without revealing any helpful information. He basically said that there was a leak, he’s not apart of it and that decisions are made based off of facts. Holder did a great job insuring that he came out smelling like a rose. He just had to mention that he supported a reporter in 2009 but didn’t get the necessary support from “up on the hill.” Carney looks a bit nervous in his video but stresses that the president supports unrestricted information to the press for investigative journalism purposes. To me that seems scary as it may over alarm the public and there is greater room for error and misjudgement. The white house press secretary position might be the toughest job in the world. Having to constantly face the fire of the press after a typical government media gaff has to be one of the most difficult thing any PR professional is faced with. I did a little googling and found that the maximum amount a white house press secretary can make is just over 172 thousand. Not enough if you ask me. I agree. Not worth it at all. And many of the issues they have to make statements about are very sensitive. One of the biggest complaints about this administration is that they are a bunch of liars, but then again all politicians are. So looking at the situation from a PR perspective I think the big question is “What do the American people honestly want from our government?” This is an impossible question to answer because everyone has different opinions, thoughts, beliefs and wants. It would be impossible for the government to please everyone to where there were no complaints. The job of press secretary would be one of the hardest in the American government and I believe likely has been for decades because of the direction our country has gone. Not necessarily just the government, but our entire country. All the so-called American citizens that have continuously and progressively turned it into a battle of the nation/political parties with no compromise is leading our nation into a chaotic mess. Mr. Carney has recently stepped down from his position after quite possibly one of the most stressful tenures for a Press Secretary. I wonder if the administration’s performance has had anything to do with his decision to resign. I think it is really stressful for Jay Carney on this position, there are lots of informations that counted toward national security, and he has no right and not allowed to speak any of that and talk any related to it. Maybe any small information that he is wiling to share might ties back to the national security, which is hard for him to adjust his word. This position would be so difficult. First of all, you need to know all of the answers. You need to be able to answer questions in the same way that the president would if he was asked. Furthermore, you need to be able to mold your answers so that you do not say anything that would jeopardize the White House. I think Carney did the best he could in this situation. This administration has been villianized by people who so know little, in a technological environment that no other administration had to deal with. Carney no doubt has a very tough job. The amount of stress someone would have to face with constant press pressure would be unbelievably stressful. Being a prior journalist, it makes sense he has a strong ability to speak slowly and say nothing. That is a very important skill in the situation he was in. I think the best thing that a politician could ever do— from a PR perspective— would be to come out of the gate as honest as humanly possible. This politician would share everything they’ve ever done wrong and anything they’ve ever seen be done wrong. Sure, there may be outrage from the media and the public during the big reveal— but soon there would be nothing else for them to be mad about. This politician would continue to be honest and own up to their mistakes anytime they made a new mistake. (Because humans make mistakes.) This would build a reputation for honesty. A brand for honesty if you will. This politician would come to crush their opponents in any race they run in. They’d be known for their honesty. They would always be more trustworthy. Because they came forward with all their bad news on their own. One day I’d love to see this happen. In almost every situation, particularly those such as this, it is important to admit wrong has been done in order to save as much face as possible. The longer you dodge accountability, the more disastrous the effect when the truth is finally revealed. Carney is most likely at odds with what he wants to do and what he has to do. The question of whether or not a government, individual or company will take open and honest responsibility for something that happens is so interesting to me. Sometimes it seems like it would be the right move to just come clean, but then on the other side our society is so intent on blaming and shaming and tearing down each other’s character that maybe it’s not a good idea. Once you admit fault it’s hard to take back. In a personal relationship it is usually the right thing to do, but in so many situations, it’s just not a good idea in the public sphere.